Well, hey there, fun and funky! 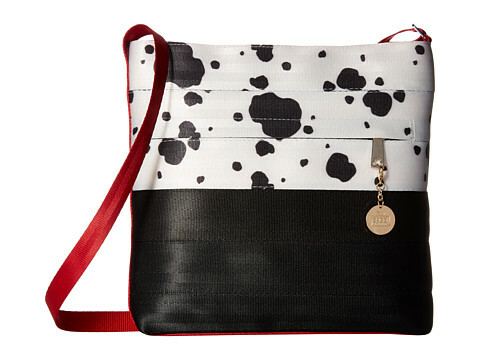 For anybody with a love for Disney’s 101 Dalmatians, this Harvey’s Crossbody Bag is for you! We love those spunky spotted dogs and the Harveys Company, who makes all their handbags and wallets out of seatbelts! Fun, functional, and funky: just the way we like it! Check out our Favorite Disney Handbags Gift Guide and our Favorite Gifts for Mom for more fun and funky inspo! I love this! Oh Jen – you always play right along with my Harvey’s obsession.